To: Vance D. Bell, CEO Shaw Industries Group, Inc.
Stop Shaw from Carpeting our World with Toxics! Recently, Shaw has been closing recycling facilities and fighting common sense laws that protect our environment. Instead of increasing recycling infrastructure, Shaw keeps dumping its waste on ordinary people like you and me. 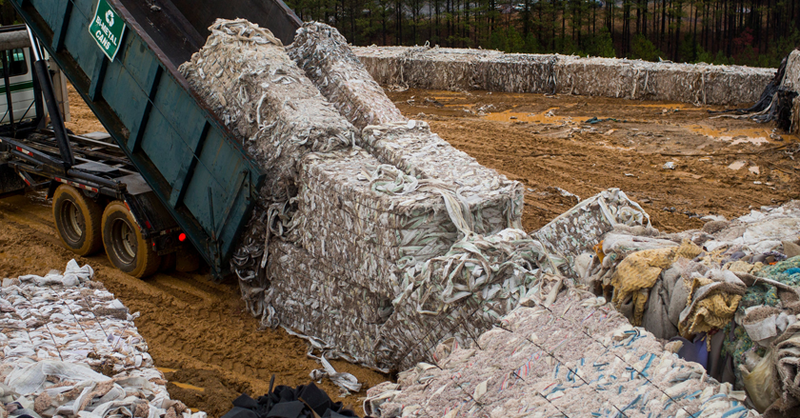 In fact, there are 4 billion pounds per year of carpet going to landfill in the U.S. and less than 5% of carpeting is recycled. Tell Shaw to Take Responsibility for their Polluting Products! Carpet is everywhere in world, but few of us think about what happens to carpet when it wears out. When carpet reaches the end of its useful life, it’s either landfilled -- where it can leach pollutants into our aquifers-- or is diverted for incineration, which pumps toxic chemicals into our air, soil, and waters. The particles created when carpet is burned can be lethal, causing cancer and increasing the risk of heart attacks, strokes, asthma, and pulmonary disease. The health impacts of this pollution are felt first and worst in the places which border these facilities, largely low-income communities and communities of color. It’s time to end this “bury and burn” mentality. We demand that Shaw be a leader and significantly increase carpet-to-carpet recycling, instead of spending their money fighting regulations aimed at curbing their impact on our environment. We have the technology to stop this senseless pollution, so this should be a no brainer! Act now to stop Shaw from getting away with polluting our world! To learn more about the carpet industry’s “greenwashing” and failed attempts at sustainability, check out GAIA’s recent report [link].